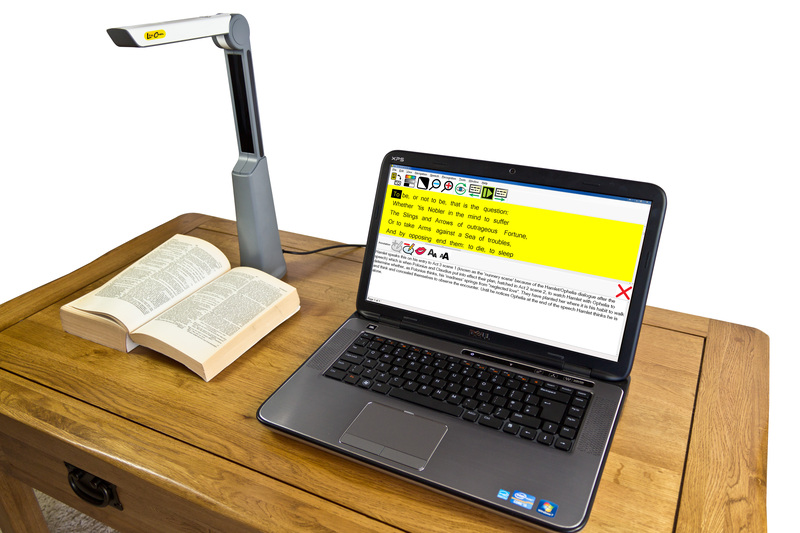 LexCam - magnify, read, re-format, import, export, save, bookmark... your perfect dyslexia companion! LexCam is designed to be used in conjunction with the Lex software. 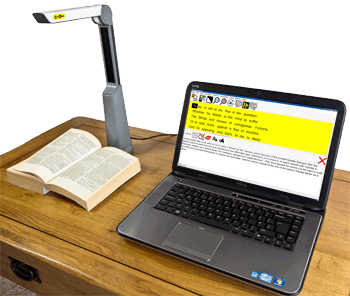 It is a highly portable camera system that gives dyslexic users near instant access to practically any physical document. Weighing just 720 grams (1.6 lbs) it is the ideal portable solution for computer users of all ability levels. LexCam is for any dyslexic computer user, who wants near instant, easy and accurate access to printed documents. Incredible accuracy: LexCam uses a high resolution camera which recognises down to 6pt text. It has a superb depth of field allowing even the thickest of books to be captured with ease. Breaking the spines of books to scan them is a thing of the past! Glossy document capture: Some camera systems have difficulty with glossy documents but this is not the case for the LexCam! Although it has integrated lighting, the camera and software have been optimised to capture without the lights being required, meaning even glossy magazines can be captured without difficulty. Fastest Set Up time: LexCam has been specifically designed to be as fast to set up and take down as possible - it takes less than 5 seconds. Just unfold it, plug in one USB connector into your laptop or PC and you're ready! Nothing to screw in or plug together. No Batteries: All LexCam needs is one USB 2.0 port - no need to worry about keeping a separate battery charged. Stylish and practical design: A stylish, discreet and light weight design ensures that LexCam is ideal to use in nearly any location. Footprint: Occupying just 65mm x 81mm, (2.6 x 3.2 inches), of table area, LexCam takes up very little space. Weight: Lex weighs just 720 grams (1.6 lbs) making it easy to take with you wherever you go. Versatility: Read almost any surface, flat or round. LexCam's camera allows it to capture deep into the spines of books without flattening them, as well as read 3D objects like tins.